"If you pay your employees or consultants more than $5 per hour, you will save time and money using FmPro Migrator Platinum Edition to perform this migration service." "FmPro Migrator is a professional solution for database administrators and developers working with FileMaker Pro databases." Download the converted Access2013.accdb (1Mb) files shown in the video. FmPro Migrator Platinum Edition 8.34 improves the creation of acCommandButton objects in Access database files by setting the ctlButton.BackColor. Included with FmPro Migrator - keeps your FileMaker Pro to Microsoft® Access migration project affordable. Process your files locally, using FmPro Migrator. Automated conversion of FileMaker Pro Layouts to Visual Basic code building the Microsoft Access Forms/Reports. FileMaker Pro scripts are converted into executable Visual Basic code. Text-based radio buttons utilize generated Event code for data compatibility. FileMaker Pro relationships are converted into Access relationships. Custom Value Lists from FileMaker Pro are converted to Access combo boxes. Embedded Layout images are de-duped and added to each generated Access Form/Report. Saves many hours of manual work converting each Layout. 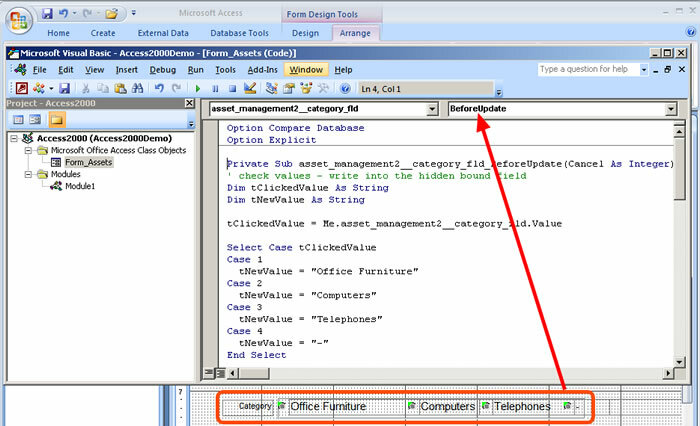 Builds tables for Microsoft Access, SQL Server or SQL Azure from FileMaker tables. ODBC Data Transfer - Avoids missing column headers or mixed up data columns. Supports Microsoft Access 2007, 2010, 2013+ database files. The FmPro To Access Migration feature built into FmPro Migrator provides an automated conversion feature for FileMaker Pro database files into Microsoft Access .accdb database files. 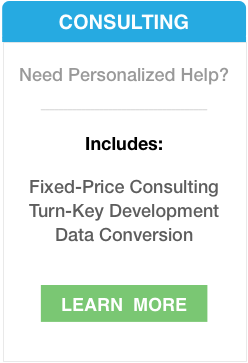 This feature includes the conversion of layouts, scripts, relationships, and value lists. This feature leverages the automated layout and relationship importing features of FmPro Migrator Developer Edition, along with FileMaker Pro Advanced. Save Time, Get Up and Running Quickly - It can be a tedious and time consuming process to manually re-create each FileMaker Pro layout object into any other development environment. Rather than spending days or even weeks of valuable time manually converting hundreds of layouts, Microsoft Access developers can utilize the FmPro to Access Migration Service as an economical alternative. FmPro Migrator Developer Edition typically processes each layout within less than 1 second - much faster than you could perform the task manually! The ability to efficiently perform FileMaker Pro to Access migrations makes it possible to quickly show prototypes to prospective customers. An automated migration process represents the ultimate in rapid application development, which can't be matched by any other development environment. Being able to show customers a rapid prototype may make the difference in getting approval for a new client project. Script Conversion - Each FileMaker Pro script captured by FmPro Migrator, is converted into executable Visual Basic code and is saved to a separate .bas file for editing or importing directly into the Visual Basic editor. These converted scripts will require further modification and are intended to be used as a template for the development of new Visual Basic code which will be used to replace the original FileMaker Pro script functionality by the Microsoft Access developer. FileMaker Pro relationships imported by FmPro Migrator are converted into Access SQL relationship code. This relationship SQL code is then run within the Access database to build each relationship. 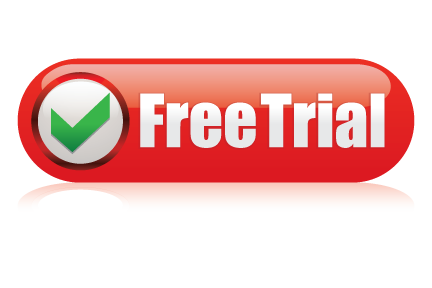 FileMaker Pro radio buttons utilize text based value lists which are not directly compatible with Access radio button sets. The migrated data from the original FileMaker Pro database will also be in text form instead of the numeric values typically used for radio buttons within Microsoft Access. FmPro Migrator generates a hidden field bound to the underlying database field along with Form BeforeEvent and Form Current Event code to translate the text based values back and forth between the radio buttons and the underlying database table. The Form Event code is automatically generated by FmPro Migrator and ready for pasting into each Form or Report. Custom Value Lists are read from the FileMaker Pro DDR XML file and used to create ComboBox objects on every Access Form/Report where the original Value List was used. Embedded layout graphic images are saved into an images folder and are also placed onto each Access Form or Report in the same size and location as the original layout. Only unique copies of images are exported from the layouts, in order to prevent wasting space due to duplicate images. This means that if an image such as a company logo is used on 100 different layouts, only one single copy of that graphic will be saved, as all of the other 99 copies are duplicates of the original image. FileMaker Pro stores GIF, PNG and JPEG images in their native formats within the layout. All other image types are also converted and stored in the JPEG file format in order to guarantee compatibility with Instant Web Publishing. Therefore the conversion process follows this same compatibility implementation by extracting GIF, PNG and JPEG images for use on the Access Forms and Reports. Having the images available as external files prior to building the Forms/Reports makes it possible to substitute new images for the original images. As long as the filenames remain the same, the generated Visual Basic code will utilize the replaced image within all of the locations where the original file was used. Notes: Only embedded images can be extracted from the FileMaker Pro layout. Images stored as a reference to a file on the file system will show up as an empty image object on the Access Form or Report. Also, if the JPEG version of a non-native image format is corrupted within the layout, unexpected results can occur. If the image doesn't display properly within FileMaker Pro Instant Web Publishing, then it won't be displayed on the Access Form or Report either. Microsoft Access 2007 does a better job of matching the image resizing of embedded graphics images to match the original image display within he FileMaker Pro database. Regular rectangle and rounded rectangle objects are commonly used as backgrounds within FileMaker Pro layouts. Both of these objects are converted to regular rectangle vector graphic objects on Microsoft Access Forms/Reports. Microsoft Access does not include support for Circle/Oval vector graphic objects. FmPro Migrator converts these objects into PNG images which are imported as embedded Form/Report image objects. FileMaker Pro Tab Panels are directly compatible with Microsoft Access Tab Controls. Tab Panel names are checked for duplication, and the embedded objects are added to each Tab Control from the original layout. An Access Subform is automatically created and positioned on the main form in order to represent each FileMaker Pro portal. The Subform is configured to display records from the related table referenced in the original Portal definition. When the SubForm object is created, the the definition of the LinkMasterFields and LinkChildFields properties define the proper keys to display related records. FileMaker Pro container fields are typically used to store images for display on FileMaker Pro layouts. Container field image data is converted into Access OLE Object fields for display within Access Forms/Reports. In order for the Access database to display images written into OLE Object fields via ODBC, it is necessary to use the DBPix ActiveX control. A placeholder for the Ammara DBPix control is put onto the generated Form/Report, for further customization and configuration by the Access developer. FileMaker Pro text labels are converted into Access acLabel objects, having the same color, font name, and justification as the original text label. Text font sizes are reduced by 1pt size in order to more accurately match the display of objects on the Access Form/Report. The example on the left shows that the grey 24pt "Assets" text label using the Bold Verdana font has been converted into grey 23pt Verdana text having a Normal font weight. The bounding box was manually extended to the right and moved downward to match the original location. The converted versions of the "New/Delete/Find" text labels are shown displayed a little higher than their original locations next to the embedded images. Note: Due to differences between databases and platforms, it will often be necessary to modify the size and position of the text label bounding boxes on the converted Form/Report. Note: FmPro Migrator Platinum Edition includes an FmPro to Access Qty 250 License Key - Unlimited Number of Database Files. Due to the complexity associated with any database migration project, it is recommended that a small test project be completed prior to starting the full conversion project. By default, FmPro Migrator Developer Edition processes FmPro to Access migration projects in demo mode without a license key. In Demo mode, FmPro Migrator Developer Edition will process 5 layouts and 5 scripts. Using the demo mode at no charge, enables Access developers to become familiar with the conversion process and see the completed layouts in the Microsoft Access database. FmPro Migrator Platinum Edition - FmPro Migrator Platinum Edition is used for capturing the structure info from the FileMaker Pro database file and generating the Visual Basic code required to build each Form, Report and SubForm. FmPro Migrator Developer Edition utilizes the DDR XML file generated by FileMaker Pro Advanced 11+, in order to automate the importing of Layouts, Relationships, Value Lists and Scripts. Tables/Fields and ScriptMaker scripts are copied into FmPro Migrator Developer Edition via the ClipBoard from FileMaker Pro Advanced. This import process follows the steps detailed in the FileMaker Pro to Access Migration Process PDF file. Once the info has been captured by FmPro Migrator Developer Edition, click the FmPro to Access Migration Service button on the GUI tab. Open the _LoadAllFormsAndReports.bas file within the Visual Basic editor to build each of the Forms/Reports within the Access database file. In demo mode, FmPro Migrator Developer Edition will convert 5 layouts and 5 scripts into Microsoft Access 2007, 2010, 2013+ .accdb files. Buying a license key for the FmPro to Access Migration Service provides full-featured migration of the quantity of layouts ordered. This license key enables the processing of the specified quantity of layouts for an unlimited number of FileMaker Pro database files for the duration of the license key [1 year]. 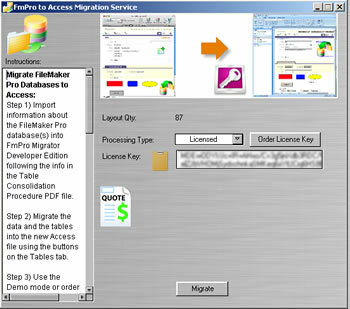 FmPro Migrator Platinum Edition may also be used by the Access developer to perform the conversion of the FileMaker Pro database tables, data and relationships into Microsoft Access. You can download the migrated AccessDemo2013.accdb (1Mb) which is displayed at the top of this page. FileMaker Pro Advanced 11+ - FileMaker Pro Advanced is used for creating a DDR XML export file providing the structure of the FileMaker Pro database file. This file is used for importing the relationships, Value Lists and Layouts from the original FileMaker Pro database. Microsoft Access 2007, 2010 2013 - The version of Microsoft Access required must be at least Access 2007, in order to support the execution of the Form/Report Visual Basic code generated by FmPro Migrator Platinum Edition. The FmPro To Access Migration Service utilizes FmPro Migrator Platinum Edition along with the other software listed here in order to automate the capturing of layouts, relationships, value lists and scripts from the FileMaker Pro database file. Once the information has been captured, it is stored within FmPro Migrator's MigrationProcess.db3 embedded database file and saved to the output directory. This file serves as the source of info for the FmPro to Access Migration process. Embedded Page#, Date, Record# Layout objects Access Equivalent?